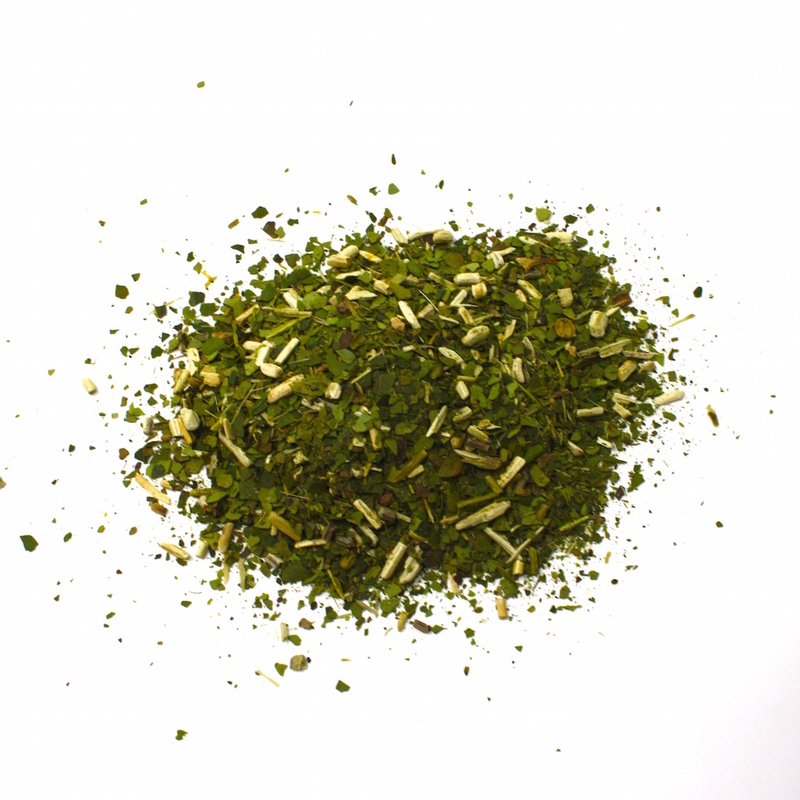 An organic certified, fresh green Mate, perfect for those new to Mate tea. Meta Mate‘s organic certified, fresh Yerba Mate from Brazil has a mild taste with a subtle bitterness to it. It has the fresh green colour of a powdery Brazilian Mate (or chimarrão) and the leafy cut typical of Argentinian Mates. This results in a Mate which is easy to prepare and will not clog in a bombilla, perfect for beginners! 23 Fresh Mate is vacuum packed while still fresh. If you’re used to Mates which have been stored for long periods of time, you really will notice the difference. Its brilliant freshness, in colour, aroma and flavour, brings the Mate drinker right back to the forests of Brazil. 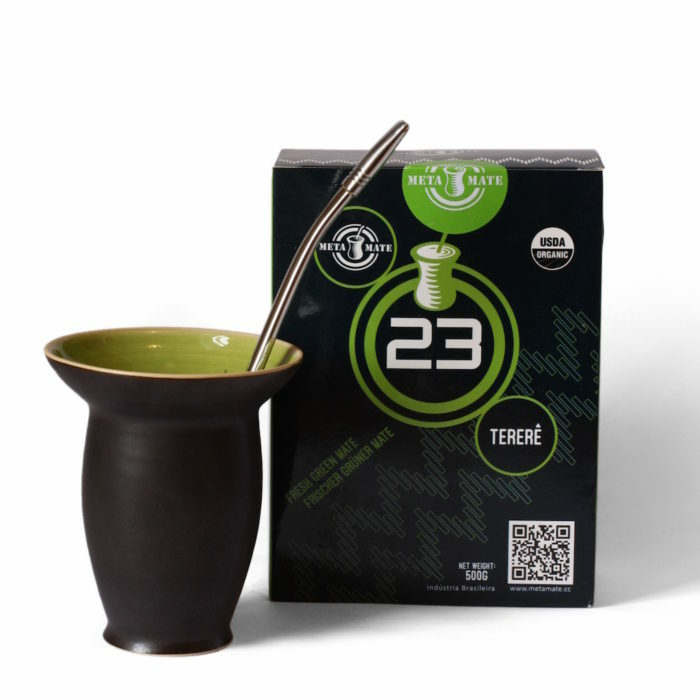 Its leafy cut makes 23 a perfect Mate for preparing tereré, a drink popular in Paraguay which uses cold or iced water rather than hot. It is common to add various herbs, citrus juices or other ingredients to tereré, resulting in a refreshing drink for a hot summer’s day. You can of course prepare it as a hot Mate tea too. 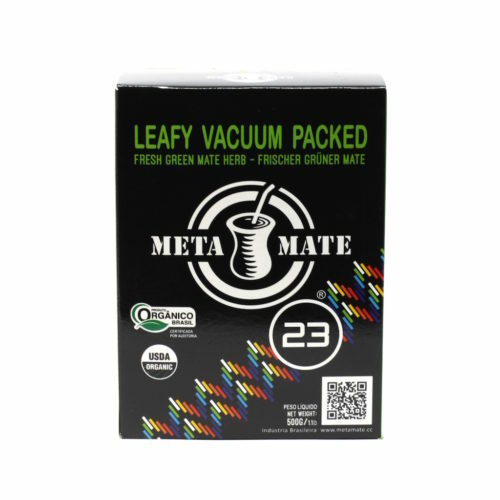 This Mate is produced for Meta Mate by Barao and is certified organic by EcoCert. Both the EU and USDA recognise EcoCert as an accredited certification body. 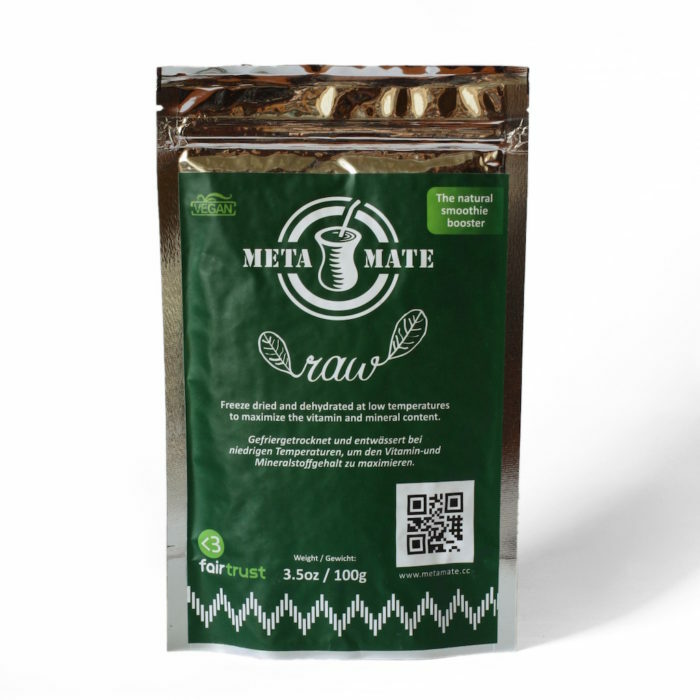 By vacuum packing craft Mates produced by the Gehm and Tolloti families, Barao are aiding Meta Mate in their attempts to support small-scale, artisanal Mate production. 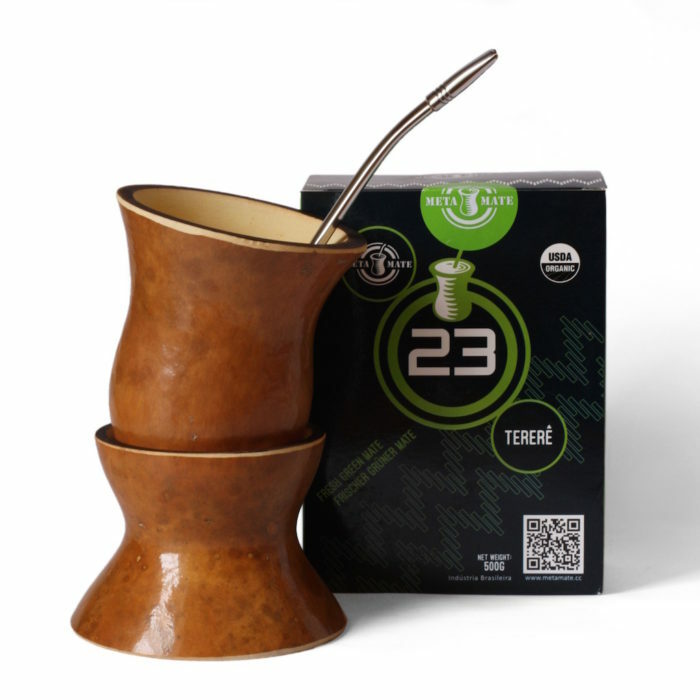 23 Mate is a great introduction to Mate tea, and we hope it encourages people to try Meta Mate‘s Craft and Raw Mates. 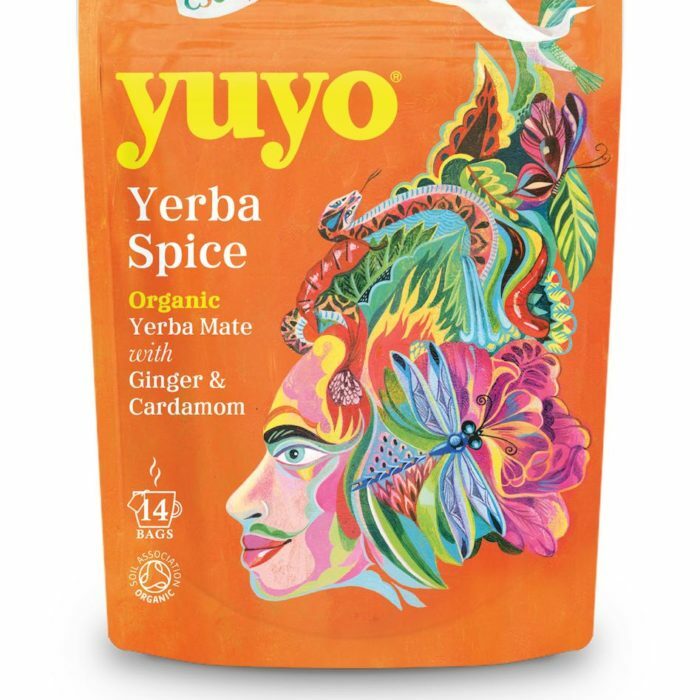 These Mates directly support small-scale farmers and the traditional methods of Mate production passed down through generations. We recommend preparing this Mate in the traditional manner with gourd and bombilla. For instructions, see here. Alternatively, you can prepare 23 Fresh Mate in a french press or using a tea strainer. If using a french press, add 2 tablespoons of Mate to 1L of hot (no more than 85°C) water. Let sit for 5 minutes before pushing down the plunger. For instructions on how to prepare tereré, click here.